Best priced golf balls, eating McDonald's and working with the NBA - Vice Golf's Ingo Düllmann chats to GM. 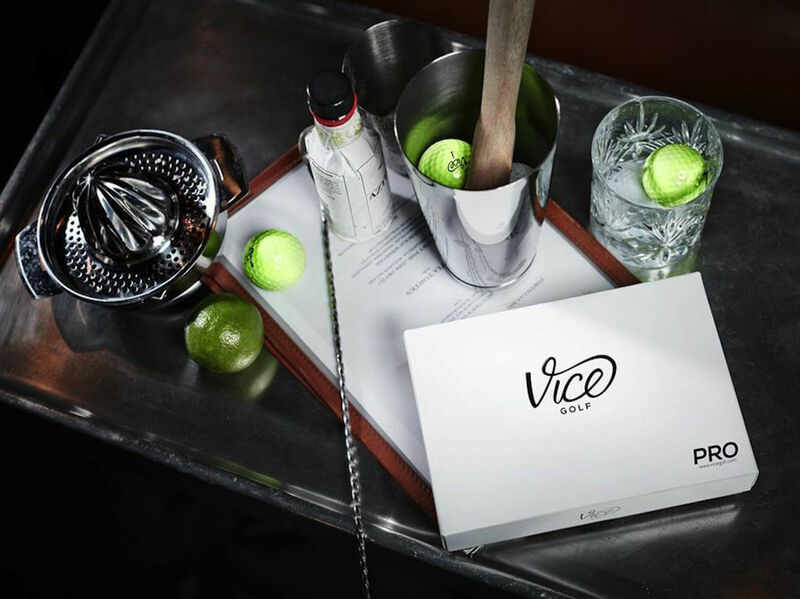 VICE Golf was founded on the belief that the cost of a single golf ball was just way too high. As a company, they felt they could design premium golf balls that were just as good as the others on the market but at a much lower price point - and we must admit, they've done exactly that. So Ingo, could we start by learning a little bit more about how Vice Golf started out in the first place? So Rainer and I started working together in 2011 and we were working as lawyers and consultants here in Germany. At this time, all those direct to consumer models popped up, especially in the United States like razor blades and glasses. At this time we had a consultancy job at one of the biggest golf ball manufacturers in the world, and we were like "hey, this is consumerable and we know how this works and structure behind it from manufacture to retail." From this initial idea, we put a lot of our own money together and we wanted to give it a try. Fortunately we had a great contact with the son of one of the CEO's of the company and they found our idea interesting. We fit their concept of being able to find fresh new ways to sell golf balls. We already had some aerodynamic and material engineers here in Germany and we started doing research and development, bringing up a lot of different approaches as to what the ideal golf ball should really look like and how it should perform. I would say within 30 to 40 months, on top of hundreds of samples, trials and errors, we were ready to start with our first batch of golf balls. Lucky we had the support of this big manufacturer and we went from there. Initially it was a part-time thing for us, but after a year we had to decide whether we took this all up seriously and put all our efforts into it. The decision wasn't really tough given the early success, and we decided to go for it. I'd like to think it turned out to be a good decision. We were definitely eating a lot of McDonald's the first couple of years - there were definitely no flashy restaurants for us during this time I can assure you! At the beginning we started in Germany, then we spread out to Austria, Switzerland, obviously Great Britain and a number of other European countries. Two years later we started in Australia as our first try with non-European countries, and then we set out for the United States 18 months ago. Since then, everything has changed so drastically, but in a really great way. Customers are appreciating our approach to golf ball design and we are just so passionate about what we do. We want to continue to grow and become one of the most accepted golf brands in the industry. Our feeling about business is the same as it is about golf: Do it with passion or don’t do it at all! What do you believe differentiates you from other premium golf ball brands? I guess the way we sell is a direct to consumer approach, and our costs are obviously a lot cheaper than everyone else. It's an important part of the business, but what I believe sets us apart is that we don't have much of a tradition - we are younger, we can easily react to customer needs, we are fast, we are trying to fulfil all our customer needs. Probably the most important part of our business is that we only develop products until we are so confident bringing them out to our customers. We test and trial our golf balls for ages until they launch. Other brands have the pressure of going live at retail and they have to have their products in the pro shop on a certain date - they have to make those numbers and those stakes. We also want to make money of course, but for us, it's to make sure the product is working really well. If we see it's not at the stage we want it to be, then we will come out with it a month, two or even three months later than expected. We can take this time because we are just selling directly to customers, and nobody will be angry at us. We don't have to sell to pro shops and retailers, so it's one thing we are really proud of along with our gloves and bags also. We have great products at great prices that can be compared with anything else out there. It follows our approach of great quality for a great price. Which new VICE Golf products are you most proud of this season? We like to call them updates rather than new products, for example it might just be a cosmectic update as has been the case. We understand the need for things being classed as "new" because it's a marketing thing, but we feel there is no real need to change something just for the sake of it. If the change doesn't make it better, and it's just for a marketing idea, then you shouldn't really be doing it. That's all we are doing. We react to the feedback of our customers, and we make products that little bit better when it gets an upgrade. But yes, this year the Tour ball has received a massive update, and also our Pro + ball has got a slightly smaller update with a bit of a harder core to make it even more attractive for high speed clubheads. We will be able to differentiate between a regular, slower and a fast hitting player, and be able to give them the perfect ball for their needs. We will be launching something very soon that I can't yet tell you about, but they're not golf balls! The golf bags are flying and they've taken us by surprise if we're honest, and these will receive a little update shortly too. Are any Tour players on the horizon for you? The whole pro player thing is a good question, but obviously there's a cost factor behind that. It's no secret you have to pay those players pretty substantial amounts, so if we decide to do that, we would rather pick the one or ones that we think fit our brand approach, the coolness and the style approach to our brand. They are all great players out there on Tour, even on the Web.com Tour, but it's about picking the right one if we go down that route, which may or may not happen one day. Other brands pay these guys to tell people their ball is great, but we want someone who fits our brand and our approach to make it better known. Where do you guys see yourselves in five years time? That's a long period of time but we want to grow massively from where we are right now, and we're very confident we will. We don't want to rush things with our products, we want to be 100% sure before we come out with new designs and upgrades to make sure it fits our needs, and fits the needs of our customers. In five years, we could be everywhere or we could be nowhere, who knows, but we are going to continue developing products at a great price I know that. How did your recent partnership with the NBA come about? It's been great. 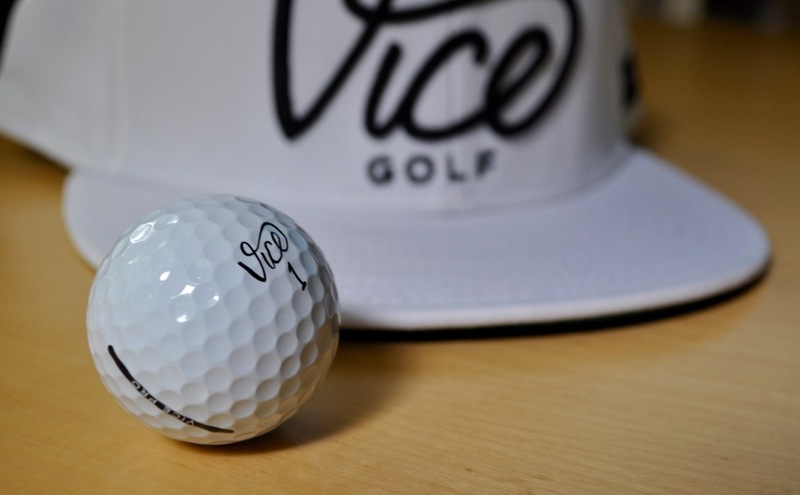 Here at Vice, a lot of guys have a special connection to golf and basketball so it was a good fit when the NBA approached us to see if we would like to be the official golf ball of the NBA. Like I said earlier, we just want things that fit our company the best possible way, not just doing things for the sake of it. There are 25 million golfers out there in the US, and about a quarter of them are interested or even fanatic about basketball. So there are 7 or 8 million out there tackle potentially. 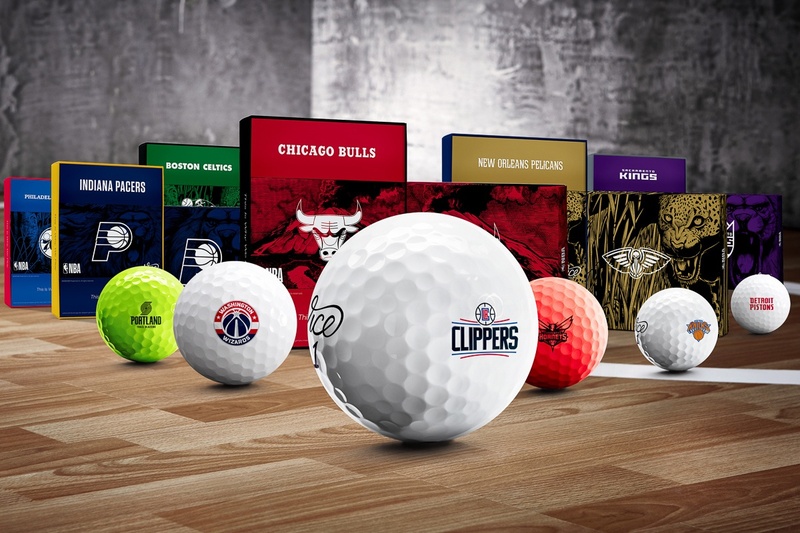 We can print the logos on the ball and the packaging, and can have all the 30 NBA teams in our repertoire, and we can provide a team golf ball with the highest quality out there possible. Our customers can choose which golf ball to combine with their preferred team, so we have so many personalisation options. Nobody else out there can do this, so it's great. What are your thoughts on rolling back the golf ball? The USGA and R&A have always been very restrictive when it comes to golf balls and accessories, and we've always said from the development standpoint that we could make our balls fly much longer than they currently do, but obviously we have been restricted by certain golf ball design criteria. On one hand, it's understandable to act like this and want to limit golf ball distance in order to stop golf courses being lengthened all the time etc. For us, it would better to say you can develop anything you want, and let the ball travel 500 yards, but on the other hand, the beautiful part of golf is the short game and there are no restrictions at all. Either way, we can live with both sides of the argument, and we'll react accordingly. For more information about Vice Golf products, click here.